Attack 2 : dumb spanish clown.TOAST! If tails.The dumb clown gets a gun and destroy all. 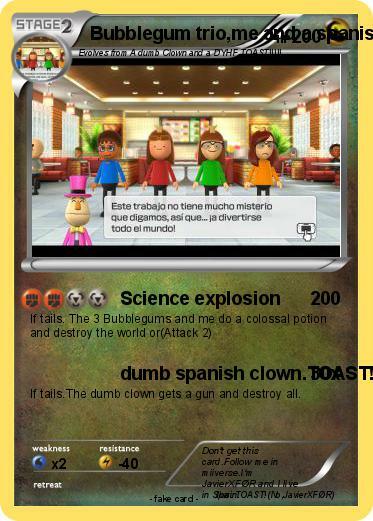 Comments : Don't get this card.Follow me in miiverse.I'm JavierXFØR and I live in Spain.